Your business has less than 3 seconds to take advantage of the micro-moment opportunities when your potential audience grabs their smartphones or tablets to quickly seek out more information on a topic or potential purchase? These micro-moments do happen. And they happen dozens of times each day. On average, millennials check their mobile phones 150 times per day. I don’t think of myself as someone always on my iPhone. But this past week, I picked up my phone about 43 times each day. I checked my email. I bought stuff on Amazon. While grocery shopping in one store, I used Google Maps to find a place to order a pizza for dinner. I used it again to check the hours of the nearby indoor playground gym for my kids. I listened to a lot of podcasts. I surfed LinkedIn, checking out the posts from the people and brands I follow. And I watched Peppa the Pig on YouTube with my five-year old daughter as part of our bedtime routine. According to an Accenture post on the topic, more than 5 billion people own mobile phones – and more than half of those are smartphones. Close to 3 billion mobile users are active on social media. And there are more than 3.5 billion Google searches a day. So, now you know about micro-moments, what are you doing to cash in on them? 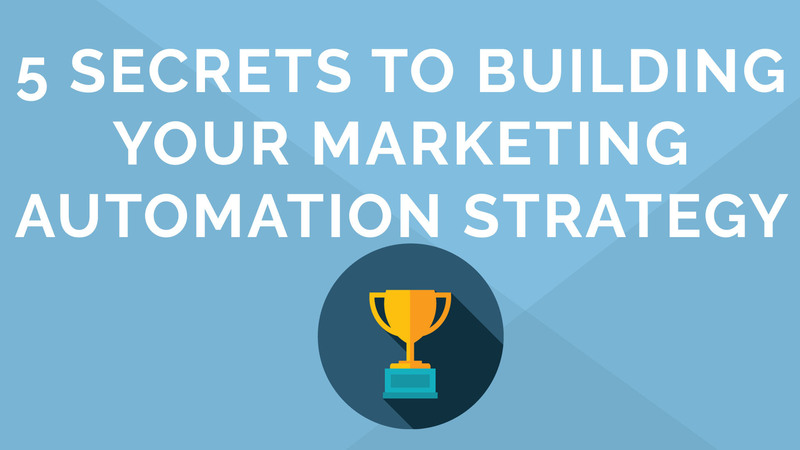 Here are 5 ways to be prepared and use marketing automation to capture those moments. You don’t need to drop $30,000 on a big website update project (although you could). Nor do you need a marketing team of dozens, but that would be cool. I am a big fan of Avinash Kaushik and subscribe to his The Marketing <> Analytics Intersect newsletter. In two recent newsletter emails, he recently shared his Top 10 little things you can do this year to improve your business. Things that blow your mind (#WA): Why do otherwise intelligent people ignore the low hanging fruit and want to eat the whole tree first? Just as you would keep your home clean (enough) to receive guests, you want to make sure your website and internet-accessible channels (Youtube,Twitter, Linkedin) are ready for someone to take an action when they stop by. One issue of Kaushik’s newsletter covered the Top 10 things you could do for improving your analytics. And the other covered his tips for marketing. Both had as their top recommendation improving the bounce rates on your top landing pages. Someone clicked on links to those pages, are you giving them the best experience once they get there. Go back and think about the micro-moment categories. Would someone be able to quickly take one of those actions once they’re on the page? We have also talked about the importance of the Fundamental Three, the three factors that will determine your success using a marketing automation platform like Act-On. The number one item is ensuring you have the website tracking beacon installed on your website. This is important to be able to begin tracking those unknown website visitors and following their journey with you on your site as they become known leads, and then closed/won deals. In addition to improving those landing pages and confirming your beacon is installed, you also want to look at your website’s page load speed. A website’s load speed is becoming a bigger and bigger ranking factor in Google’s search algorithm. Think about why that is. More and more search traffic — our micro-moments — are being conducted on a mobile device and no one wants to wait forever while your home page loads. Like I said, these micro-moments are, more than likely, mobile. So check your website’s usability on a variety of mobile devices. Are you building a new landing page or email in Act-On? You can quickly see what your page or email will look like on a phone, tablet or desktop. You can also tap into Act-On’s integration with Litmus to preview your messages against major email clients before launching out to customers. You only have a few seconds in a micro-moment to convert that visitor with some action. You need to think about packaging or re-packaging some of your content for these bite-sized moments. For example, most videos watched on LinkedIn and other channels are done so with the volume off. Do you have captions on your videos? We use Zubtitle to create the captions in our LinkedIn thought leadership videos. If you are a sports fan, no doubt you’ve seen a 6-second commercial. Could you tell your brand story in six seconds or less? How could you do that visually? With the sound off? Preparing for micro-moments doesn’t mean you stop creating eBooks or webinars and other long-form content. It just means creating a teaser that whets a visitor’s immediate appetite and has them coming back for more later on. An example of this are our on-demand webinars. I’ve edited down our 45-60 minute webinars into 15-minutes versions. And for some of those, I have created one-minute trailers that highlight one item from the longer video and send you to the webinars if you want to learn more. If you’ve been doing digital marketing or inbound marketing for any length of time, you have noticed that Google’s search results page has fewer and fewer organic results. In a mobile or voice search, it may only return one organic result. Teleflora, the flower delivery service, embraced a combination of fixing its website to reduce cart abandonment, and increase their paid search. The result was an increase in mobile traffic and an increase of mobile revenues by 50 percent. Whether you increase your paid search budget or just refocus where the money is spent, you want to consider more bottom-of-funnel intent with your audience instead of just brand awareness ads. One of the benefits of an integrated marketing automation platform with your CRM is that you can really segment your audience based on their past engagement with your product or service. From there, you can create automated email nurture campaigns for your leads and customers. If you’ve done a half decent job mapping your content to their needs and journeys, you’re nurture emails will be bringing them value that is personal and predictive. For example, you can create a trigger event when a member of your credit union visits the mortgage loans landing page on your website. When that trigger event happens, an email is automatically sent to the member letting them know about an upcoming home buying class, or a mini-nurture campaign is launched with three or four emails about the different steps to getting a home loan (one could be how to clean up your credit score in 90 days. Another could include a short video on the different types of mortgages). Chatbots are another great tool that can be leveraged to help you convert more micro-moment opportunities. At Act-On, we began using Drift last year. You can integrate your chatbots with your marketing automation. When someone visits your website, the chatbot can quickly respond to their needs. Do they want to talk to someone in sales? Bam! They are connected to a sales rep and that info is sent to your CRM and hot prospects list. Are they a customer having a problem with your product or service? The chatbot can quickly connect them with your customer support teams, as well as other customer support resources you offer. But there will also be a group of visitors to your site that use the chatbot to learn more about your product or service. Integrating your chatbot with your marketing automation platform means you can quickly connect queries to related content assets such as on-demand webinars, eBooks or perhaps an ROI calculator. You can also feed in upcoming events your hosting or participating in, which can then be referenced and delivered to a prospect. You can even deliver results based on geography and date. So, if they are east coast based, you are not sharing information about your west coast event. And you may ask, what if most of my traffic comes from desktop? What if mobile traffic is only 5 percent of my monthly traffic? Well, let’s pencil this out. If you have a website that is generating 50,000 monthly visitors, your mobile traffic would be about 2,500 people per month. And if you’re able to convert 1 percent of those into paying customers, and your average sale is $500, than that would be about $12,500 per month in revenue or $150,000 annually. Do you want to just ignore that money? Businesses need to be ready if and when micro-moments occur. Remember Avinash Kaushik’s aggregation of marginal gains begin doing the little things today to begin making you more money. Mobile Friendly? Or Mobile First?